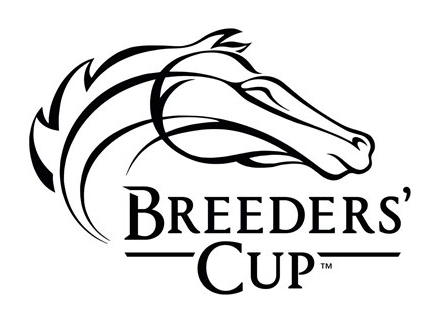 ARCHIVE: BREEDERS’ CUP 2018 | COFFEEBREAKWITHFRIENDS! 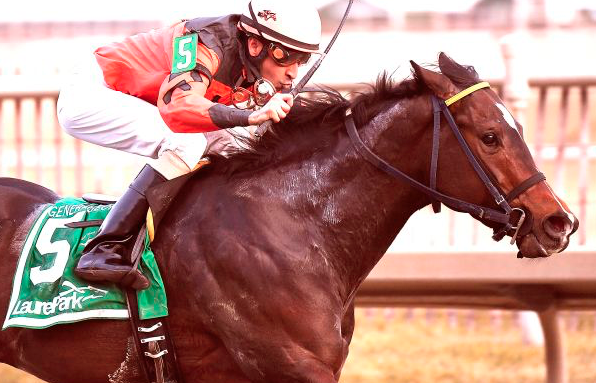 this spectacular weekend of thoroughbred horse racing! 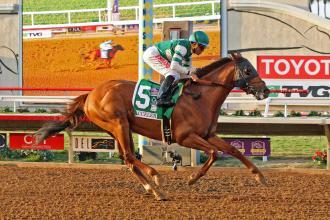 was made the 5-2 morning-line favorite for the Breeders’ Cup Classic. 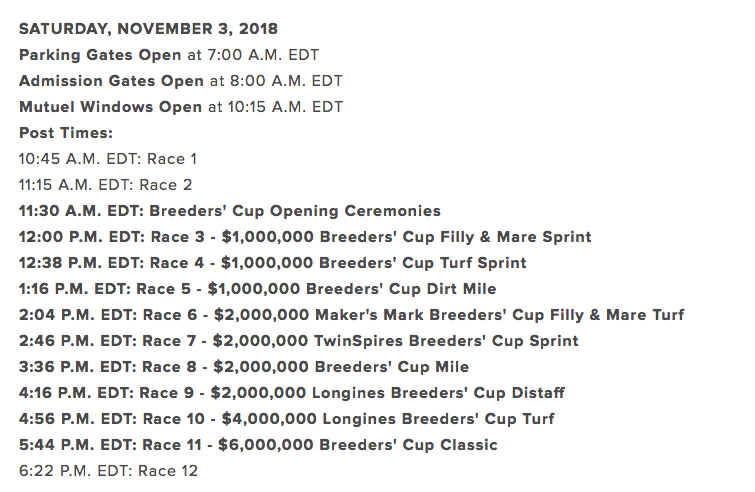 LOUISVILLE, Ky. – Five previous Breeders’ Cup race winners, a two-time winner of the Arc de Triomphe, a pair of Kentucky Oaks winners, and a pair of Travers winners were among the 191 horses entered Monday in the 14 Breeders’ Cup races that will be run Friday and Saturday at Churchill Downs. 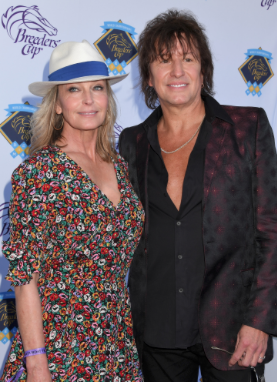 Posts for all the races were drawn on Monday night, and seven of the 14 ended up with so many entrants that also-eligibles were needed, including the richest race of all, the $6 million Classic on Saturday. Nine of the 14 fields have the maximum number of runners. The smallest field is nine, in the Sprint, in which Roy H will try to defend his title. In addition to Roy H, Stormy Liberal will be back to try and win the Turf Sprint for the second straight year, as will Talismanic in the Turf. 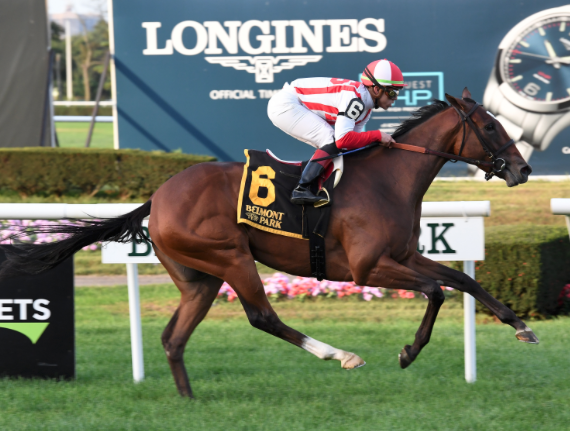 Oscar Performance tries to add the Mile to a resume that includes the 2016 Juvenile Turf. 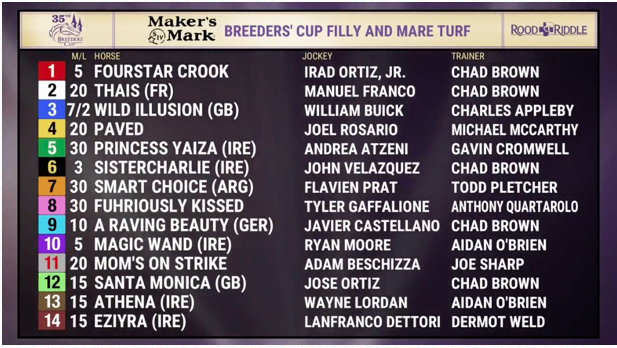 And Mendelssohn goes in the Classic after winning the Juvenile Turf last year. 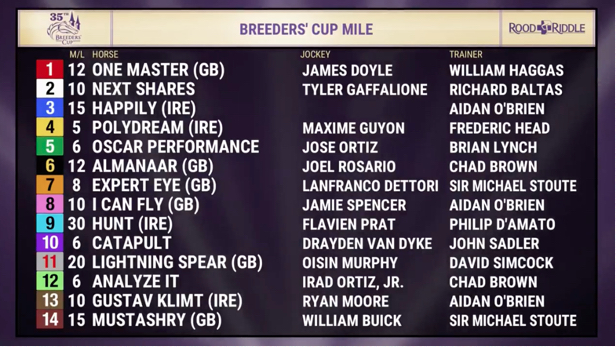 This will be the 35th Breeders’ Cup, which was first run in 1984. 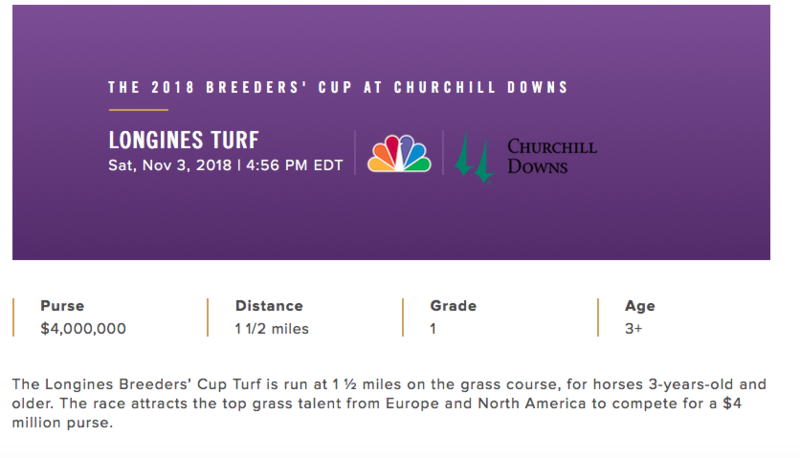 In the previous 34 years, no horse ever has won a race on turf and a race on dirt, a feat Mendelssohn will try to accomplish. 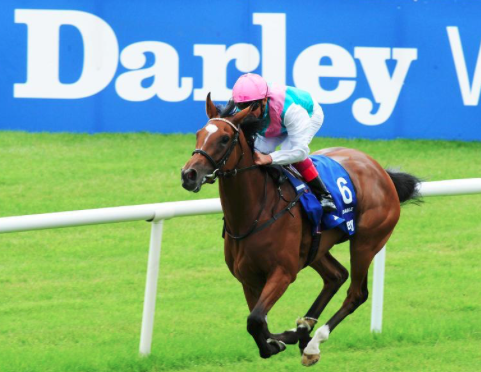 The biggest star of the weekend may be the star European filly Enable, a two-time winner of the Arc de Triomphe, who goes in the Turf on Saturday. 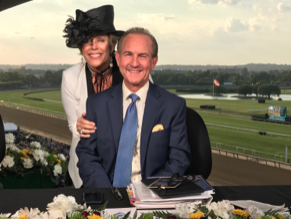 She is the weekend’s shortest-priced favorite on the lines of both Mike Battaglia of Churchill Downs, at even-money, and Mike Watchmaker, Daily Racing Form’s national handicapper, who has her even shorter, at 4-5. 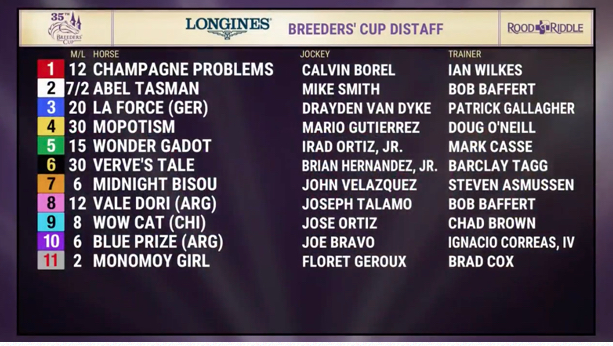 The Distaff features a matchup between Abel Tasman, last year’s Kentucky Oaks winner, and Monomoy Girl, this year’s winner. And the Classic, which has numerous top-class horses from the United States and Europe, includes the last two Travers winners, Catholic Boy and West Coast. Monday marked the last of a two-stage entry process. 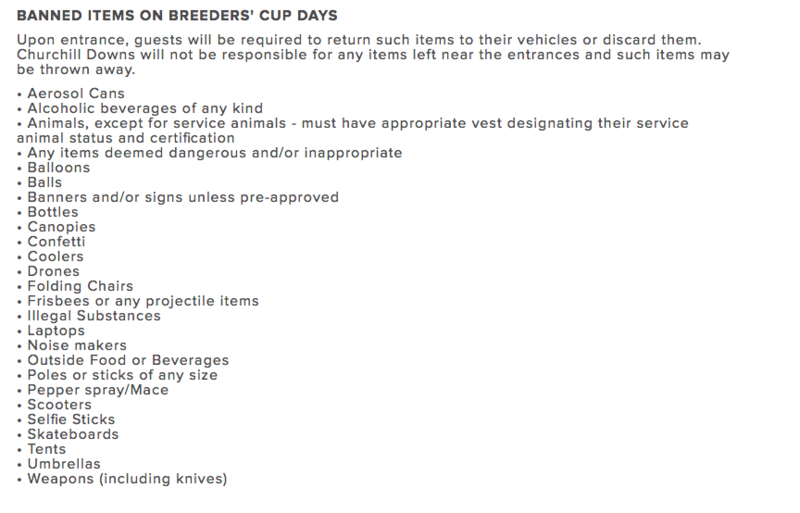 Last week, horses were pre-entered, and at the time could be put in up to two races. Monday was decision day for those cross-entered. 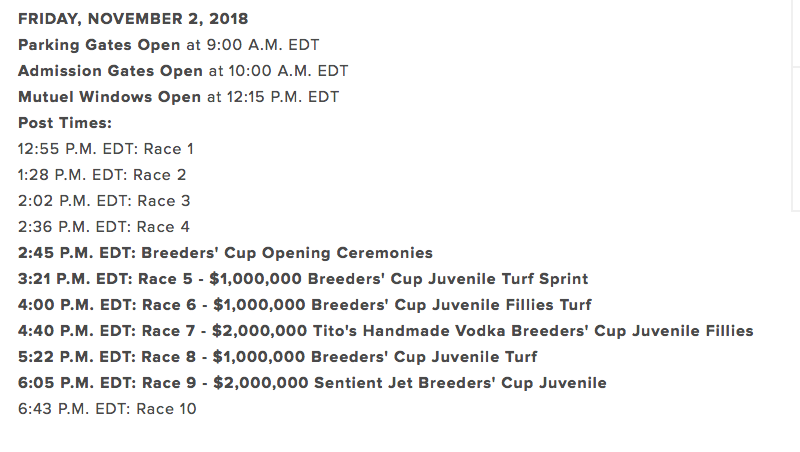 Horses had to be entered in a single race that morning, and then posts for the 14 races were drawn later Monday. 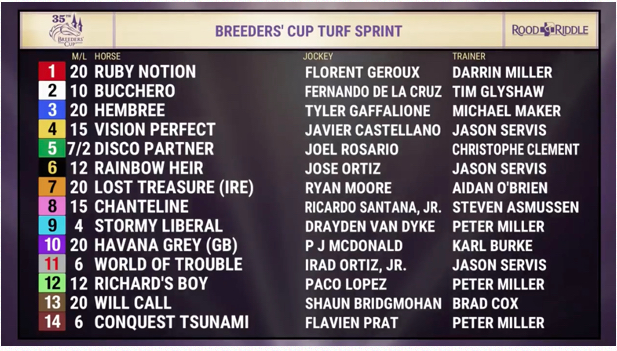 A maximum of 14 horses can start in each Breeders’ Cup race, with the exception of the new Juvenile Turf Sprint, which is limited to 12 runners. 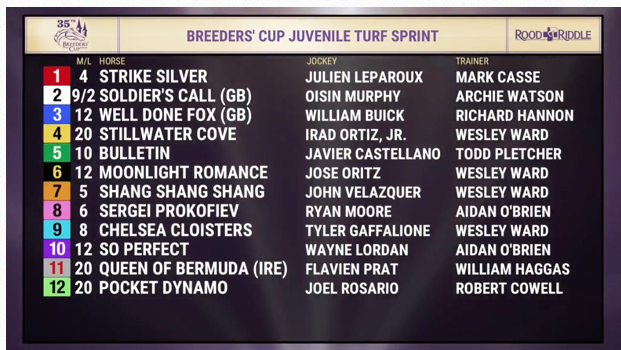 The Juvenile Turf Sprint has a full field of 12, with four also-eligibles. The other races that oversubscribed at entry time could have no more than two also-eligibles, meaning a maximum of 16 could be entered in any race. 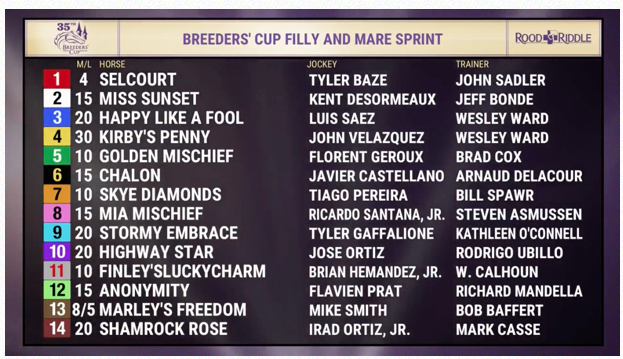 Scratch time for all 14 Breeders’ Cup races is 8 a.m. Eastern Friday. After that, also-eligibles cannot get in. 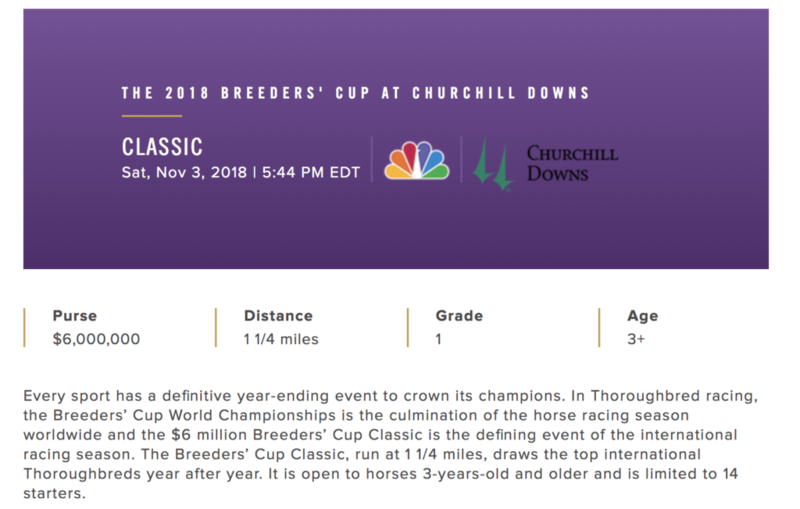 The Breeders’ Cup is returning to Churchill Downs for the first time since the track played host to the event in consecutive years, 2010 and 2011. 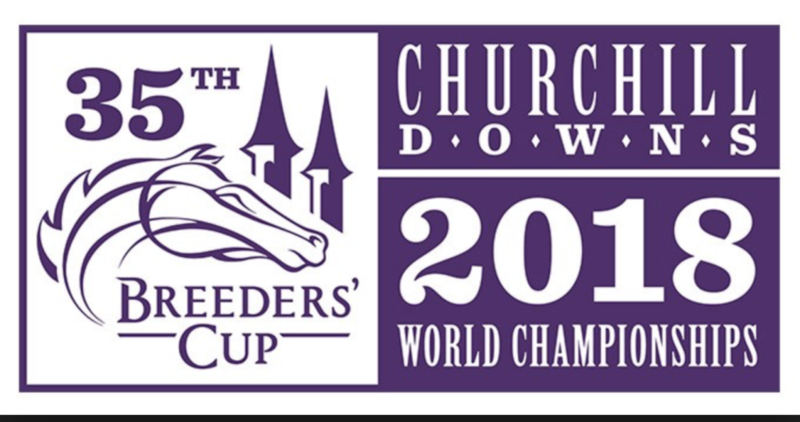 This is the ninth time Churchill Downs will host the Breeders’ Cup. 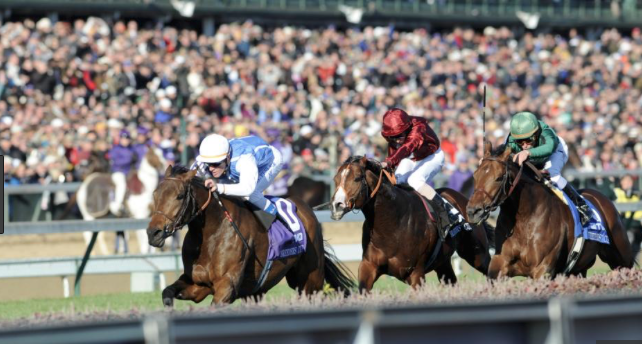 The Classic is the finale on a Saturday card that also includes, in order, the Filly and Mare Sprint, Turf Sprint, Dirt Mile, Filly and Mare Turf, Sprint, Mile, Distaff, and Turf. 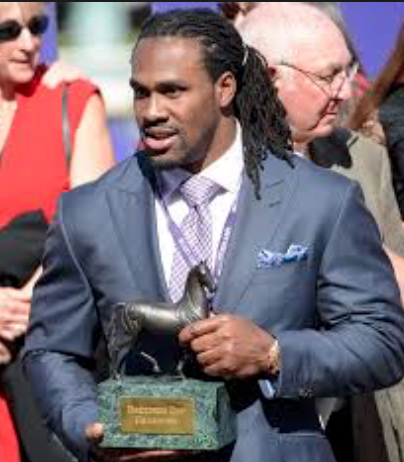 Watchmaker made the line for the Saturday races and has as his favorites Marley’s Freedom (2-1) in the Filly and Mare Sprint, Stormy Liberal (7-2) in the Turf Sprint, Catalina Cruiser (7-5) in the Dirt Mile, Wild Illusion (3-1) in the Filly and Mare Turf, Imperial Hint (2-1) in the Sprint, Polydream (4-1) in the Mile, Monomoy Girl (2-1) in the Distaff, Enable (4-5) in the Turf, and Accelerate (7-2) in the Classic. Battaglia has as favorites in those races Marley’s Freedom (8-5) in the Filly and Mare Sprint, Disco Partner (7-2) in the Turf Sprint, Catalina Cruiser (8-5) in the Dirt Mile, Sistercharlie (3-1) in the Filly and Mare Turf, Imperial Hint (9-5) in the Sprint, Polydream (5-1) in the Mile, Monomoy Girl (2-1) in the Distaff, Enable (1-1) in the Turf, and Accelerate (5-2) in the Classic. 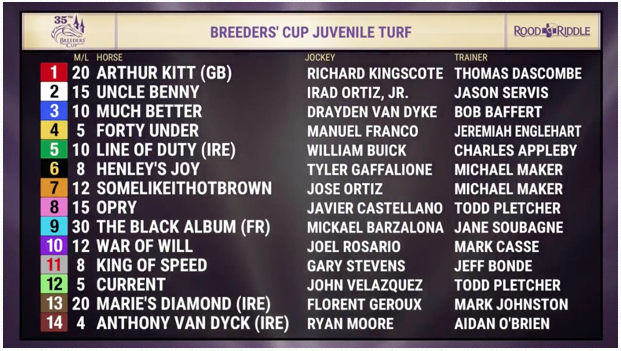 The new Juvenile Turf Sprint commences a Future Stars Friday card whose five Breeders’ Cup races are all for 2-year-olds. 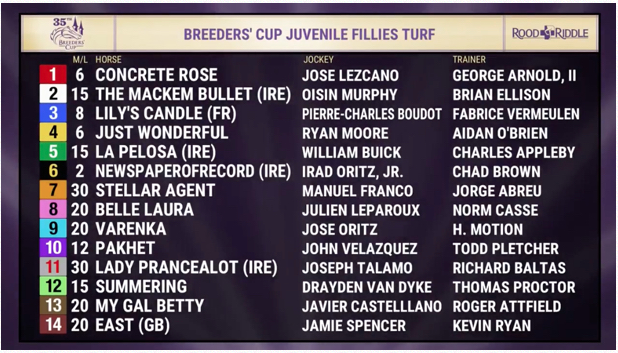 The Juvenile Turf Sprint will be followed, in order, by the Juvenile Fillies Turf, Juvenile Fillies, Juvenile Turf, and Juvenile. 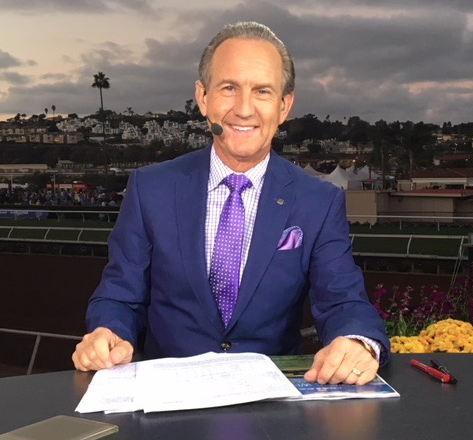 Brad Free, Daily Racing Form’s Southern California-based handicapper, made the prices for the Friday races. His favorites are Soldier’s Call (7-2) in the Juvenile Turf Sprint, Newspaperofrecord (2-1) in the Juvenile Fillies Turf, Bellafina (8-5) in the Juvenile Fillies Anthony Van Dyck (4-1) in the Juvenile Turf, and Game Winner (5-2) in the Juvenile. Battaglia’s morning-line favorites in those races are Strike Silver (4-1) in the Juvenile Turf Sprint, Newspaperofrecord (2-1) in the Juvenile Fillies Turf, Bellafina (2-1) in the Juvenile Fillies, Anthony Van Dyck (4-1) in the Juvenile Turf, and Game Winner (8-5) in the Juvenile. This should be a very entertaining race from front to back. Historically the running style of the winner of this race has no bias. 2 won from mid pack and 2 were dead closers. 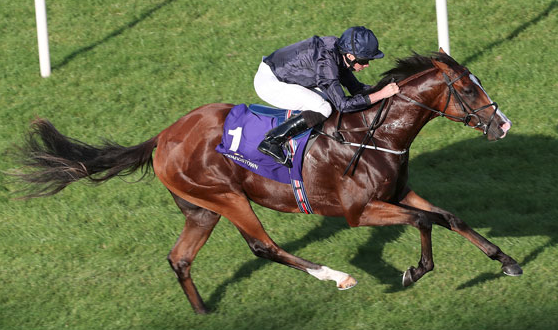 The Euro’s have dominated in this race taking 7 of the 11 runnings with trainer Aidan O’Brien and his stable jockey Ryan Moore winning four, including two of the last three. 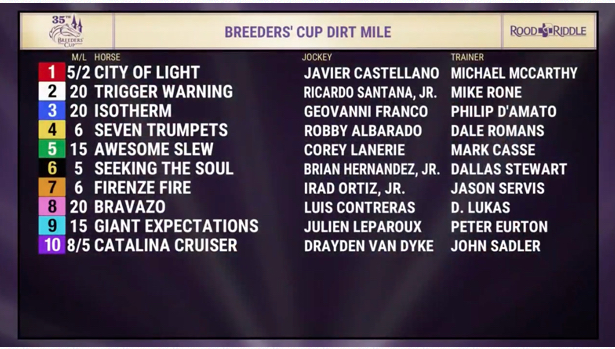 O’Brien has the lukewarm favorite in Anthony Van Dyck and although he seemed to have the edge in here by a small margin, that may have vanished the moment he drew post 14. O’Brien won this two years ago from the post 14 with Hit it a Bomb so it’s not impossible but it’s a taller mountain to climb. Another Euro worth a look is Marie’s Diamond. This colt has some early speed even though he was squeezed at the start two races back he came back and ran a great second. 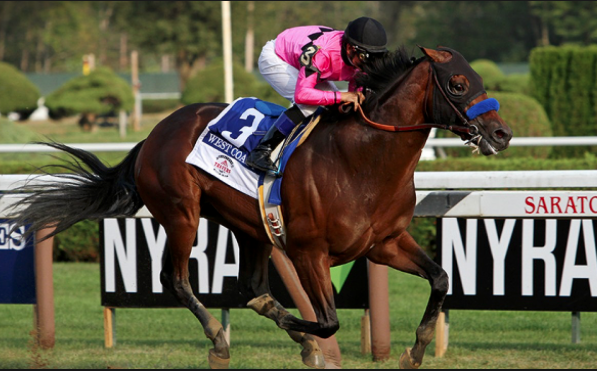 The biggest question mark is distance since he’s never race beyond 6 furlongs. As for the American based horses, Trainer Todd Pletcher’s Current seems to be getting better as the races get longer and he comes off a closing win in the Bourbon stakes at Keeneland a month ago. Forty Underhas won both his grass races and comes off a win in the Pilgrim stakes. Uncle Benny is also worth a look with two wins in two races and the two couldn’t have been more different. Went straight to the lead in his maiden race at 5/8. Then switched to the turf at 6 and came from last, circled 5 wide and came flying to win. 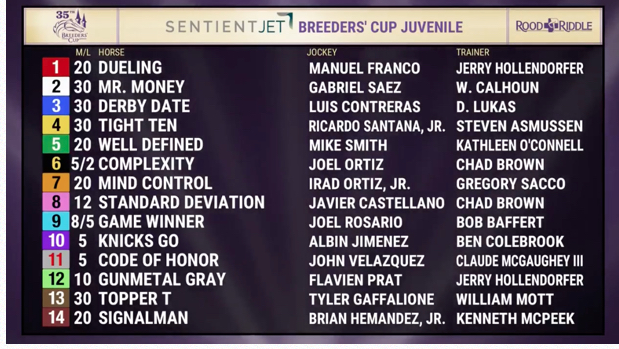 in the 8 previous Juveniles at CD no CA invaders have won. 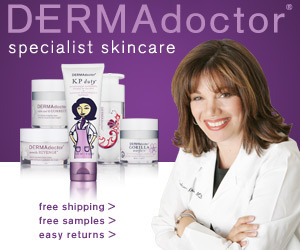 NY -3, KY -3 and foreign 2…. 2012 Shanghi Bobby the last fav to win.. This year’s Juvenile seems to come down to the two unbeaten colts in Complexity(2 for 2) trained by Chad Brown and Game Winner (3 for 3) trained by two time Triple Crown winner Bob Baffert with both running about equally as fast in their races. Complexity has never run around two turns while Game Winnerhas, plus Complexity’s pedigree suggests that longer is not better while Game winner’s pedigree suggests he could get better as he races longer distances son the edge goes to Game Winner. Another to be aware of, is Code of Honorwho stumbled badly at the start of the Champagne causing him to come from last (he broke his maiden on the lead at 6 fur) ,circling the field and still ran a solid second to Complexity and the added distance would certainly help this colt’s cause but he will have to overcome post 11. Well Defined, a winner in two of his four starts is an interesting colt . He won the restricted Florida Stallion stakes at 1 1/16 by over 7 running the third fastest race in the field but I question the quality of his competitors in that race so this will be the acid test for him and he does get Mike Smith aboard for this race. 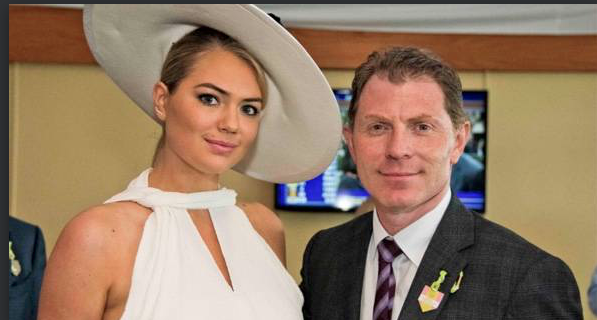 He has been winning on the lead but through slow fractions and he will face a much faster pace in the BC so he may have to change to a stalker. so I haven’t included those in this document. 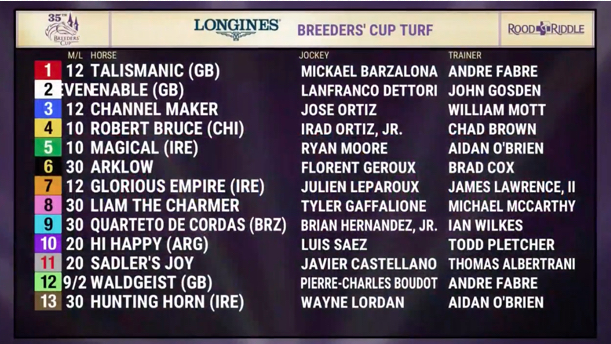 This could be the best race of the BC with Catalina Cruiser and City of Light and even Firenze Fireand Seeking the Soul could be upset possibilities. Catalina Cruiser is undefeated in four career starts and has the speed to take this gate to wire . He is trained by John Sadler who is 0-41 in the BC but this may be his best chance ever, and ridden by 24 year old Drayden Van Dyke who is looking for his first BC win. City Of Lightowned by William Warren who owned 2005 BC Classic winner St Liam, and trained by Michael McCarthy who is in his very first BC . This is the only horse to beat Accelerate this year and rattled off three wins in a row including two grade ones earlier this year . He then tried to stretch his speed out to a mile and a quarter in the SA Gold Cup but faded to third late in the race. In his last start at Saratoga in the 7 furlong Forego, he had the outside post was seven wide in an eight horse field and only beaten less than 2 lengths by Whitmore who got through on the rail. These two could hook up out of the gate , each trying to gain the edge but possibly setting things up for a closer like Firenze Fire who won the Dwyer in a similar set up or even Seeking the Soulwho hasn’t run quite as fast as the afore mentioned horses but has two wins in three races at this distance over this track. As in the past three years it’s Chad Brown versus the Europeans. Although he had the favorite and multiple entrants in the last two years, he failed to win , but not to worry, he’s a three time BC F&M Turf winner. This year he has four and possibly the favorite in Sister Charlieor Fourstars Crookas both as really solid and very close in talent. Sister Charlie has a two to one win advantage over Fourstar Crook in their three meetings but SC carried two pounds less in one of her victories and was equally weighted in the other two but in this race she concedes four pounds to FC and while FC has won over less than firm turf, Sister Charlie has not..and the turf is expected to be way less than firm..The biggest threats to team Brown will be the Euro’s. The Prix De ‘Lopera winner Wild Illusionand runner up Magic Wand. Wild Illusion has won gr ones in her last two while Magic Wand has yet to get there in that grade of race but head to head is even at one win apiece. twice this race was won gate to wire(25%) same as average for entire BC.. Promises Fulfilled is a very talented 3 yo and is two for two at six furlongs ,most recently beating older horses in the Phoenix at Keeneland a month ago. He is really fast but his best race was the Amsterdam where he eased back just a bit of the torrid early pace and won going away. He should be the fastest of the fast in here nbut will certainly get pressure from Imperial Hint soon out of the gate.If the speed materializes and Roy H like past defending champs fails to deliver then maybe a horse likeLimousine Liberal who is almost unbeatable at Churchill Downs (6 for 8) and runs four or five lengths off the pace and Whitmorewho closes later in the race have a chance. Whitmore’s chances took a turn for the worst when he drew the rail which is the worst post for the sprint and mile races mainly because of all the traffic that usually collapses around any horse making the navigation through traffic all the harder. As Usual the Europeans have the best horses in this race again this year. Poly Dreamis the likely choice in the race but must beat One Master, Happily and I Can Fly to win. Poly Dream has won two of her last three races and was severely compromised(traffic troubles) in her loss at Longchamp. Happily has been some of Europe’s best milers in the likes of Laurens, Alpha Centauri and Roaring lion.I Can Flycame flying in her last race to narrowly lose to Roaring Lion while only getting one pound(one of Europe’s best) at Ascot only two weeks ago over a turf soft course and that effort could have taken a lot out of her . One Masteralso comes off a win over a soft course in her last race and with so much rain in the forecast, she have a similar surface . 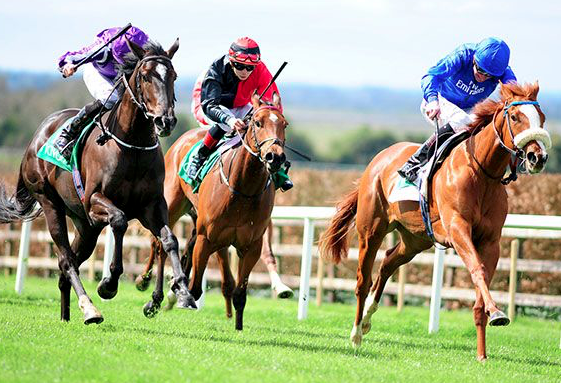 Expert Eye has been solid in the grade 3 races and runner up in the grade one Sussex stakes in August. Was freshened specifically to travel and compete here. Oscar Performancewho led but faded badly in the longer BC Turf last year drops back in distance this year after winning two of his three 2018 races, both at one mile. What’s puzzling is his failure to finish the Arlington Million (pulled up and vanned off).He’s the likely pace setter and maybe gets away with an easy lead through a very moderate pace but keep in mind that only one horse in history has won the Mile on the lead from start to finish and that was Lure in 1992 and again the following year in 93. 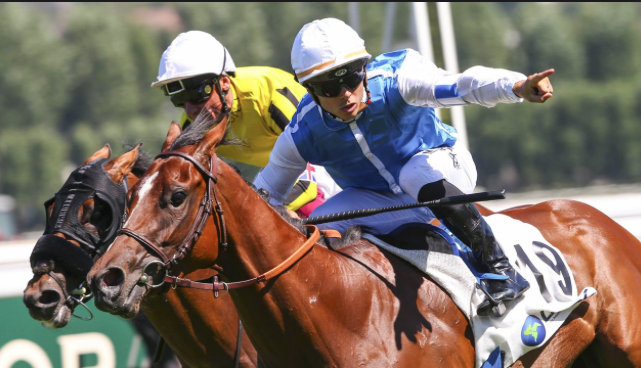 Poly Dream, Happily and I Can Fly all carry 120..
Poly Dream (3 yo filly)– Won the Prix Maurice at 6 ½ two back in mid August from about 5 off the lead, stayed covered until 3/16 and furious rush last 100 yards…. Came back Oct 7 had a nightmare trip in the Prix d Foret.. and could have been the best horse.. she won her two prior..grade two(7fur on good grnd)) and one( 6 ½ over soft) respectively.. she’s zero for two at one mile and she’s never turned left handed.. I Can Fly(3yo fily)-Only 2 for 8 this year but won gr 2 at Leptwn and was a fast closing second to Roaring Lion at Ascot in latest race only getting one pound…Does all her running the last quarter and handles any ground. One Master( 4 yo mare)-this fily just won the Gr 1 Prix de Foret closing from about 5 lengths off the pace at 7 against males over what was listed as a firm turf but relishes soft ground …, so she would benefit the most by a wet turf course. Also she has never run beyond 7. Lightning Spear- at 7 yo he’s definitely the old man in here.. after 16 tries in graded races he finally got the gr 1 win three races back on Aug 1 in the Sussex stakes beating Expert Eye and Gustav Klimt over good ground at a mile… Was a very good third beaten a neck at Ascot in June, broke on top , eased back to track a couple off the pace and moved at the 3/16.. maybe a bit too soon.. needs to wait until inside the 1/8 pole if properly positioned…finished 5that Longchamp on Sept 9 behind Recoletos, Wind Chimes and Expert Eye with no apparent excuse. Gustav Klimpt-most recently 4thin the Prix de Foret with some late traffic(behind the wall of the first three) and wasn’t punished as a result, but only beaten a length and a half..won at Leo in April over soft ground he didn’t like.. great closing second form 6 or 7 off the early pace at Ascot in June. Sept 8 race at 6 fur was last early closed well to be third to Tin Man…Like Poly Dream, he’s zero for five at one mile and has never turned left handed. When I try to rate a horse’s performance in a given race, I go on the assumption they will all run their best race.. obviously that doesn’t materialize most of the time for various reasons but if you did that in here it would be Able Tasman. On her best day against all other’s on their respective best days, she would win because she’s has run the fastest. 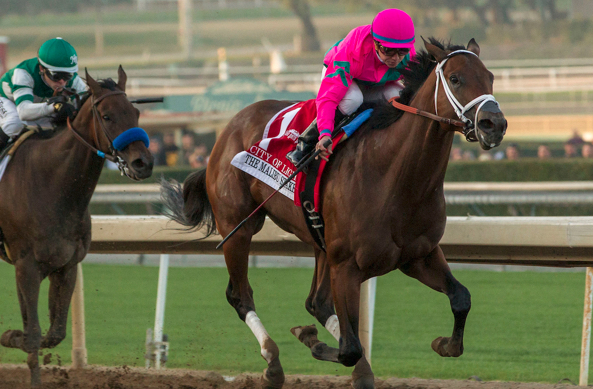 But she has had some tactical issues in the form of being uncontrollable during the middle portion of races and moved far too soon against the wishes of her jockey Mike Smith and although she has won in spite of that, it has also cost her the win before, so when Baffert came with the statement “shoe needs to be in the race early..I’m telling MiKe to put her in the race early, I makes me wonder how she will settle during the early to middle part of the race? 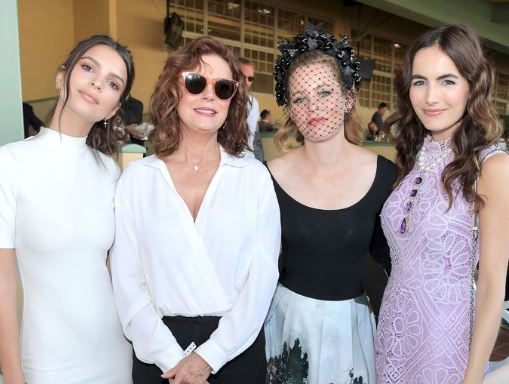 She does have good races up close so perhaps her style will close up now even though she won the KY Oaks from last place..She does come off a bad effort in her last race at Santa Anita however she was likely a victim of the “bug” that affected many of Bob Baffert’s horses in September. Her last ten races have all been gr 1’s and she won half of them.. she’s really consistent. She has a win and a fourth at this track but her win was in the KY Oaks here last year at this distance .The three year old Monomoy Girlis the main competition to Able Tasman and it’s a matchup between two KY Oaks winners.. Last year’s and this year’s winners. 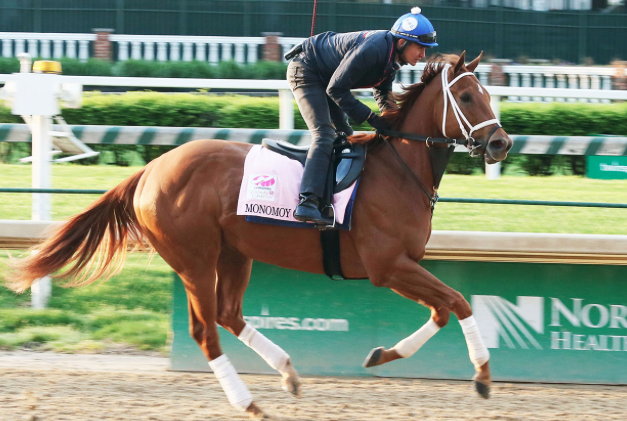 Monomoy girl is three for four her at Churchill Downs and eight of ten lifetime and could easily be undefeated with some luck. She wins most of her races stalking the lead but has won taking it gate to wire and from last to first . She has a bad habit of losing some focus when she makes the lead too early and she doesn’t seem to like to be hit with the whip(who does? ), so her jockey Florent Geroux needs to judge his move carefully. Midnight Bisouhas five wins in her eight starts this year but has yet to finish in front of Monomoy Girl in their three matchups. She was awarded first over that rival in their last race at Parx on Sept 22 for alleged interference in the stretch but I happen to think it was a bad call . There was never any contact and in my opinion Midnight Bisou wouldn’t have run by Monomoy Girl if they went around the track again. If there is one other that merits consideration it would be Blue Prizewho is having a great year in her own right . She hasn’t run as fast as the top three but she has won four of her last five races including two at Churchill Downs where her top efforts have taken place . She won the Spinster in her last race even after swerving right in mid-stretch. Magicalwho is not to be overlooked in here coming off her second win of the season in the Gr1 British Champions stakes just two weeks ago over Coronet and La Ti Dar(two exceptional fillies). The BC will be her third race in a month plus travel but she had only two races before that in mid-April and July22 so she’s not over raced. From post five she has options but most likely will track just in behind Enable mid pack . Waldgeisttrained by three time BC turf winner Andre Fabre who won this race last year with Talismatic. This horse has won four of his six 2018 races including a gr 1. 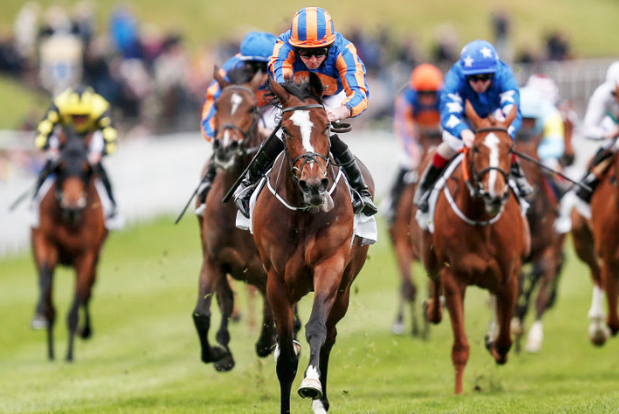 Those wins were all at 1 ½ and turf ranging from soft to firm so he handles all ground. 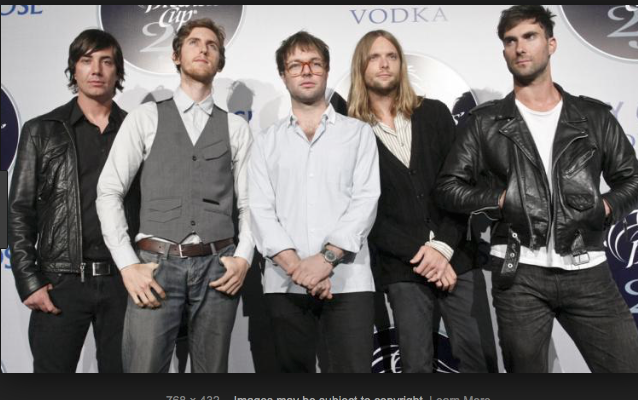 His style varies from mid back to far back so an honest early pace will help his chances and that should come from Glorious Empire, followed by Channel Maker and Hi Happy. With the disadvantageous 12 post he will likely need to come from far back as he did in the Arc even though he would prefer to be mid pack . The best American chance would come from Robert Bruce trained by Chad Brown who is 0-9 in this race. Robert Bruce came to Brown from Chile where he was six for six with four grade 1 wins. He won his debut here in May, should have won the grade 1 Manhattan but was stuck behind a wall of horses throughout the stretch and only beaten one length. He then Won the Arlington Million and was second to Channel Maker in the Joe Hirsh stakes at Belmont on Sept 29 over a soft turf which seems to be a negative for him. 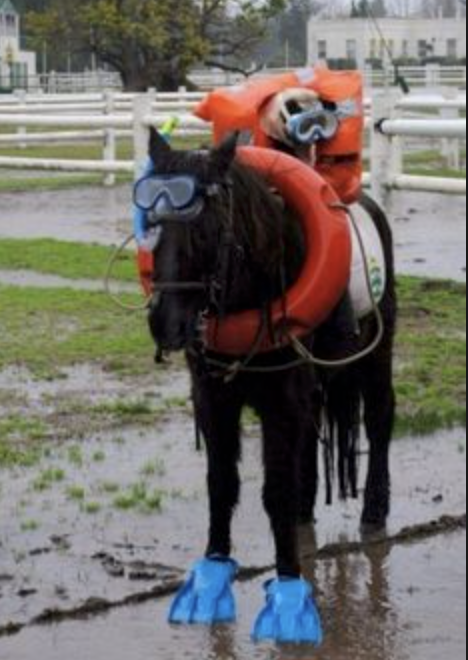 With that in mind and the strong chance of rain BC week in Kentucky, he could be compromised buy the turf condition. 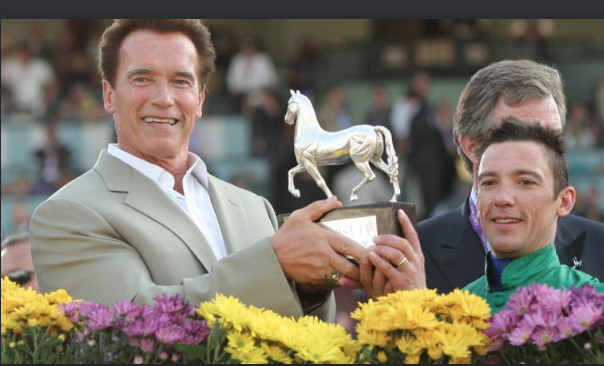 There is really no horse in this race that has no weaknesses. The favorite Acceleratehas had a great year and although he is coming off a winning effort , that effort was his weakest of the year, so is he “over the top”? 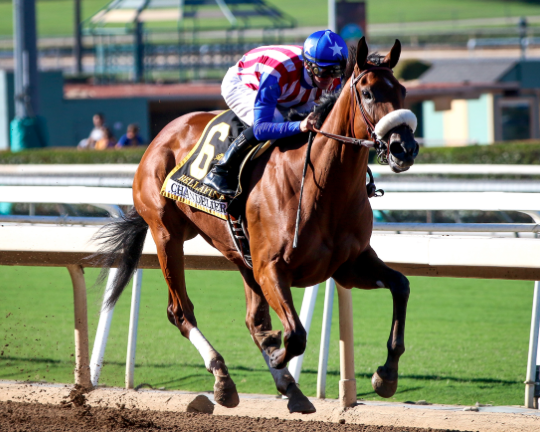 West coast has run faster than any horse in the race but with only two races this year and only one prep race since the end of March, is he fit enough? 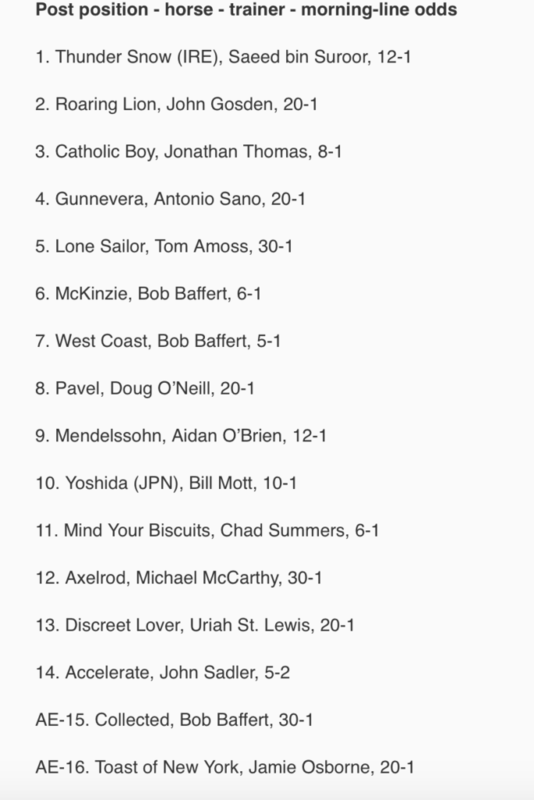 Also Mike Smith goes toMcKinziefor Baffert. 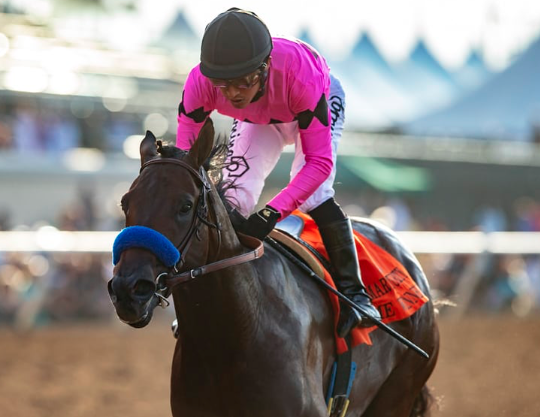 Mckinzie only once beaten and was Baffert’s best 3 yo before Justify came along, comes off a career best in his win of the Penn Derby but he’s was off longer than West Coast(March 10) so is that enough ? Also does he really want to go a mile and a quarter? Smith thinks so apparently. Mind your Biscuitsalso comes off a career best effort winning the Lukas stakes at a 1 1/8 but that seems to be a stretch for the former sprinter so can he add another 1/8 and be an effective closer? Catholic Boywas brilliant winning the Travers but hasn’t raced since and he must improve quite a bit off that to win this race and he will have a lot of company up close to the lead from the Travers runner up Mendelssohn and Thunder Snow who got a perfect set up in the Gold Cup and couldn’t win and the water gets deeper here so his task is even harder. 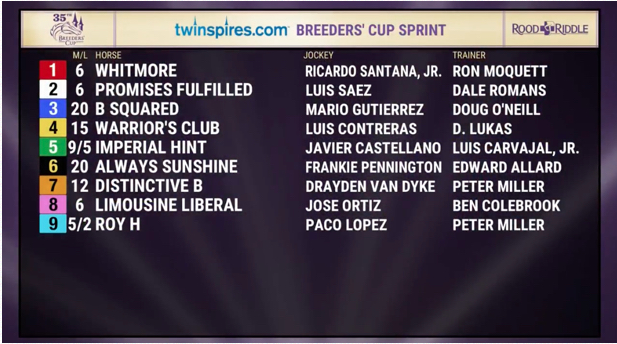 Plus, drawing post 3 he will likely get outrun for the lead by a few outside of him meaning he will find himself behind some horses taking the dirt kickback, something he hasn’t handled well in the past .Mendelssohnwas hard used a little bit early in the Belmont Gold Cup and still hung in pretty well. 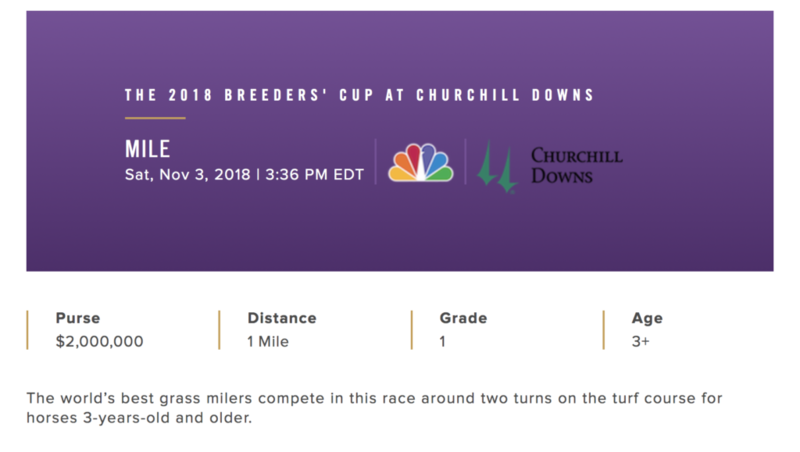 But like Thunder Snow, the water gets deeper here and he would need to get an easy lead to have a chance here and with Mckinzie in the race that is unlikely to happen. Had to go with 4 here…couldn’t help throwing in Athena! 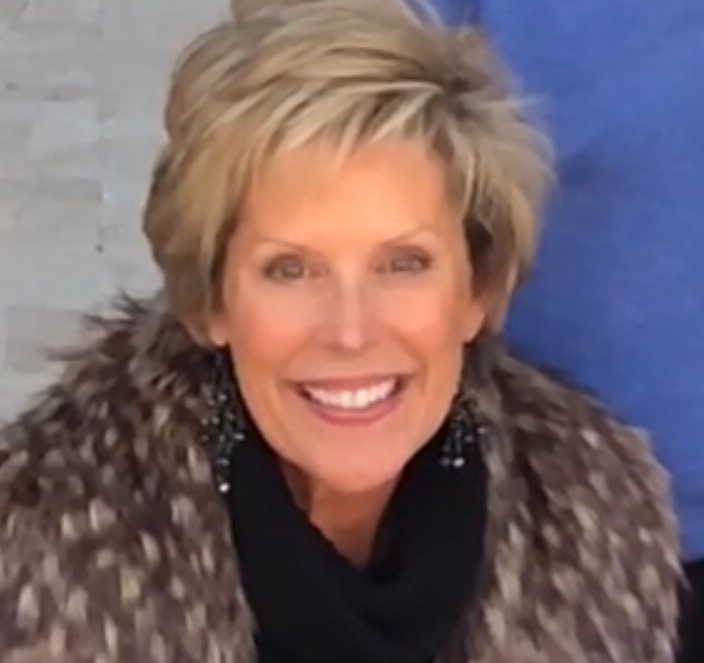 Have fun!…and if you’re in Louisville …stay warm!